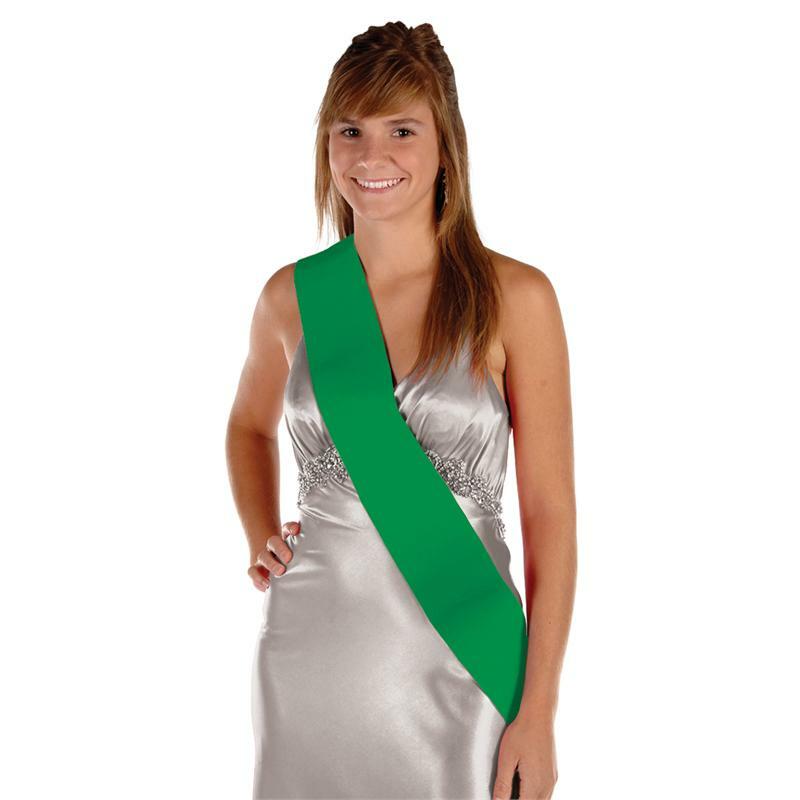 Blank green satin sash. Write your own message (markers not included). Measures 33" x 4"